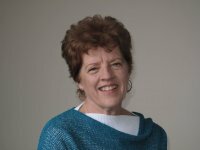 Kathy is a Board Certified Holistic Nurse, a senior Instructor in the Healing Touch Program and served on the faculty of Beyond Ordinary Nursing where she taught Integrative Imagery to nurses. Her energy medicine studies have included Healing Touch, Rosalyn Bruyere’s three year Energy Healing Training, the Foundation for Shamanic Studies and studies in Native American spirituality. After graduating from the Somatic Experiencing Trauma Institute, she served as an assistant in their Somatic Experiencing Practitioner training program for six years. She went on to complete the two year Touch Training For Psychotherapists trauma program and the two year NeuroAffective Relational Model (NARM) program for healing developmental trauma.